We are proud to serve Solana Beach, CA. 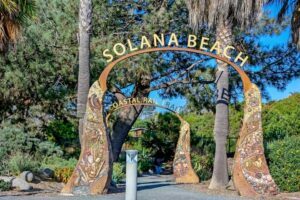 Solana Beach is one of the beautiful little beach towns along the coast of North County San Diego. Solana Beach, CA. has some great attractions including it’s amazing beach front, Belly Up night club, and a theater. Salty ocean breezes mean windows and exteriors get dirty faster than in some of the more inland communities. No worries. Just call Crystal Clear Window Washing for all your window and exterior cleaning needs in Solana Beach, CA. Crystal Clear Window Washing is a local family owned and operated business serving San Diego and North County residents and business’s for over 40 years. Crystal Clear Window Washing is a professional window and exterior cleaning company offering professional Window Cleaning, Pressure Washing, Gutter Cleaning, Solar Panel Cleaning and more. When it comes to windows and exteriors, the choice is crystal clear. At Crystal Clear Window Washing we pride our selves on being dependable and consistently providing high quality service. Our professionally trained, uniformed staff are experts when it comes to Window and Exterior Cleaning. 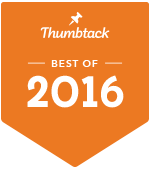 We are committed to providing you with the absolute best possible service by educating all of our staff with the most recent techniques and technologies. We are certified members of the Window Cleaning and Pressure Washing Resource Association.